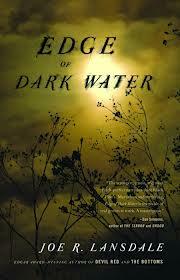 I totally enjoyed getting lost in the world Joe R. Lansdale has created in Edge of Dark Water. Set during the Great depression in East Texas, the story is about Sue Ellen Wilson and her friends Jinx Smith, a colored girl, and Terry Thomas who is considered a "sissy" by his friends, who set out on a jouney to take the ashes of their friend, May Lynn Baxter, to California. May Lynn's body was found by Sue Ellen and her Daddy one day when they were fishing and I use the term fishing loosely since we learn in the novel's opening line, "That summer, Daddy went from telephoning and dynamiting fish to poisoning them with green walnuts." 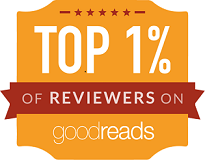 Having read a number of excellent reviews for Edge of Dark Water I expected it to be good, I just didn't relize it would be this good. Sorry I didn't get around to reading it sooner. Lansdale is a wonderful story-teller and I found this particular tale reminiscent of Mark Twain's Tom Sawyer and Huck Finn. If you found those American classics offensive, the same might be said of this work, but I thought the story was honestly told in the language of the times. Kudos to Joe R. Lansdale for doing that. And then there's the prose. Lansdale can paint a picture with words with the best of writers. Like, "To top things off nicely, it began to lightning in the east, stitching up the pit-black sky like a seamstress with bright yellow thread." There were times I found myself squirming from the gruesomeness of a scene and other times laughing at what one of the characters had said or done. Jinx was my favorite. Oppressed and often put down by the white folks around her, she had a spunkiness which often made me smile. Case in point, "'She's still a human being,' Mama said. 'God makes all human beings, no matter who they are.' 'Well, he needs to find him a better mold,' Jinx said, 'cause some of these he's making ain't worth the waste of material.'" If you're like me and didn't get around to reading Edge of Dark Water when it first came out, I'd like to suggest you move it to the top of your To Be Read pile or purchase a copy today and read it right away. Published by Mulholland books, it's available in a variety of formats just about everywhere. First, I love the wrap-around cover, from artist Jeff Miller, which does a very nice job of capturing several key elements of Steel Breeze. Last year, I had the privilege of reading Douglas Wynne's excellent rock 'n' roll horror novel The Devil of Echo Lake (get it and read it, if you haven't already). So when I saw his new book available as an ARC through LibraryThing.com, I immediately signed up and was fortunate enough to snag a copy. Steel Breeze takes the reader in an entirely new direction and is every bit as good. Desmond Carmichael writes Fantasy novels, the kind with swords and sorcerers. That's why, when his wife was murdered by a Japanese sword, kept over his desk, Des was a person of interest. However, police later found the murder weapon in the possession of a local vagrant who confessed to the crime and is currently in prison. Desmond starts having doubts about the man's guilt when a series of incidents leads him to be concerned for the safety of his three year old son, Lucas. Now he believes the people responsible for his wife's death are after his son. What follows is a non-stop, high intensity, thrill ride. It's a masterfully crafted story that is fast-paced and rich with wonderful prose, a tale that gets under your skin, gets your adrenaline flowing, and just barely lets you come up for air before repeating the process again and again. And just when you think the worst is over...it's NOT! Steel Breeze is another wonderful book from the people at Journalstone Publishing who have a keen eye for talent and are skilled at producing a very readable product. The official release date for Steel Breeze is Friday, July 19th, and it will be available in both paperback and a variety of electronic formats. Over the last year or so, I've discovered a number of new writers either directly or indirectly through the pages of Midnight Echo and issue 9 is no exception. Between the covers of the Myths & Ledgends issue from May of 2013 I found "Black Peter." a haunting story of racism and monsters set in Bari Italy from Martin Livings, "Ltttle Boy, Little Girl, Lost in the Woods," sort of an old school fairy tale of a couple unable to have children from Mark Patrick Lynch, and "The Fathomed Wreck To See," a fanciful story of a lost man and an enchanting siren. All great tales from writers I may have never read had it not been for Midnight Echo. In addition to many new voices for me there were several stories from other writers I already admire. For example, James A. Moore has a story here about a ghost train called, "Black Train Blues." How can you go wrong with a ghost train? There's a fun story about "The Wee Folk" from JG Faherty, and a terrific Joe Ledger short from Jonathan Maberry entitled, "Changeling." That one has a killer opening line, "The world keeps trying to kill me." In addition to the stories, Midnight Echo also includes author interviews, poetry and topnotch artwork. Just look at that cover. Midnight Echo 9 is available for the Kindle for under 3 bucks or the print format is available from www.midnightechomagazine.com. 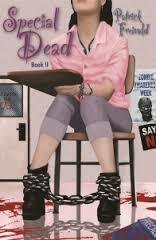 Special Dead is a sequel to Patrick Freivald's debut novel, Twice Shy, the story of a High School student with the Zombie Virus. Twice Shy was not a book I was planning to read. When it was published in 2012 I had no idea what it was about, but then I was given an advance copy of Special Dead and thought it would be a good idea to read book one. I was pleasantly surprised. Great story, great read, and one of the best books I've read this year. Following the Prompocalypse at the end of Twice Shy, Ani Romero is no longer the only non-living student at Ohneka Falls High School. It's a little more than a year since all hell broke loose at the prom and the courts are forcing the school to provide a classroom education to the Special Dead. They are essentially cut off from the rest of the school, forced to wear special helmets, leg-irons, guarded by men with flame-throwers and instructions to use them if needed. Yet, despite their situation, these kids struggle with the same desires, goals as issues as living high schoolers. Freivald does an excellent job of using the Special Dead to expound upon current real world prejudices. "'I miss church,' Lydia whispered. She fiddled with the silver cross at her neck and looked at the clock. Ani followed her gaze. 11:00 am Sunday. It's hard to be a Baptist zombie. Especially when your preacher organized marches encouraging the government to send you to hell where you belong." In the search for a permanent cure for the ZV, progress is being made, and then BANG. The writer provides more than a few, "Oh, WOW," moments and an ending I promise you won't see coming. Special Dead is every bit as good as Twice Shy. The novel can stand on it's own, but I strongly recommend reading Twice Shy first. Both are available, right now, in multiple formats. This is the third piece I've read from Matthew Tait in the last year. It started in 2012 with The Grief School, then Slander Hall and now Dark Meridian. All good stories, yet each one a bit better than the last. Adam Lava is a rock star who's had great success with his band "Solid State", but he's working hard to put that behind him. Even with all the success, and everything that comes with it, he's considering putting an end to it all, including himself. Adam and Kane have been inseparable for many years, since before the music career and throughout it all, Kane has been his friend/confidant/manager/personal assistant and so much more. It was Kane who found Meridian, the perfect place to make his home. Yet Meridian is a mystery filled with secrets which it is not so quick to give up. And then there are the beings with the dark, almond shaped eyes. Who are they? Where do they come from? What do they want? There are many, well-placed, reveals through-out Dark Meridian, each one causing me to pick up my reading pace wanting desperately to know where the story would take me next. Tait delivers well-defined characters and a complete story in The Meridian, but there are promises of a trilogy in the works, with Olearia in 2014 and The Hope of Kinfold in 2015. 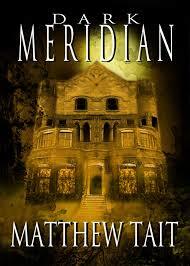 The Meridian is available now as an e-book and paperback. First. Another great cover for a Glen Krisch book. This one is uncredited, but kudos to the designer. If you are a fan Glen's Brother’s Keeper novella, this collection has two stories that involve Jason and Marcus Grant. One story, "A Prodigal Apocalypse", is the basis for the Brother’s Keeper novella and the story, "Gleaners", takes place five years after the Arkadium takes down civilization. The other four stories in this collection all deal with various post-apocalyptic worlds. "Suddenly Sanctuary" is about an agoraphobe who hasn't left her apartment in months (perhaps keeping her alive when so many others got sick and died). The obligatory zombie story, "So Close To Home." "Winterlochen Academy" takes us to the onset of another Ice Age and a monster that comes with it. And then there is the title story, "No Man's Dominion," which according to the story notes was born from the opening line which just came to Glen one day. "Grandmother's first bloody tear fell that morning." There is something about Krisch's writing style I find immensely satisfying. The delivery is fresh and clean; his tales are really well-imagined. For me some of the stories were much stronger than others. I particularly liked, "Gleaners" and "A Prodigal Apocalypse" which are parts of a larger work in progress, which I'm really looking forward to. I loved the story notes the author provided for each tale, using modern technology, in the form of a link after the title allowing the reader to decide whether to look at them before or after reading the story. Nice. No Man's Dominion and Other Post-Apocalypic Tales is available now from Amazon.com and if you have an Amazon Prime membership you can get it for FREE as one of your monthly selections for the Kindle Lending Library.